Createspace Independent Publishing Platform, 9781511590679, 830pp. THE TV REFERENCE BOOK THAT BECAME A NATIONAL MEDIA SENSATION "Full of fool's gold and genuine TV treasures," New York Post "A must-browse for media freaks," USA Today "A remarkable encyclopedia," TV Guide This is the ground-breaking, exhaustively-researched book that revealed, for the first time ever, all of the details behind the thousands of TV series ideas that were developed and rejected by the networks since the dawn of television. The book was an instant, national sensation when it was first published in 1990, winning enthusiastic critical acclaim and enormous media attention, including on-air praise from TV legend Johnny Carson on "The Tonight Show," and was adapted into two hour-long specials, "The Greatest Shows You Never Saw" on CBS and "The Best TV Shows That Never Were" on ABC. 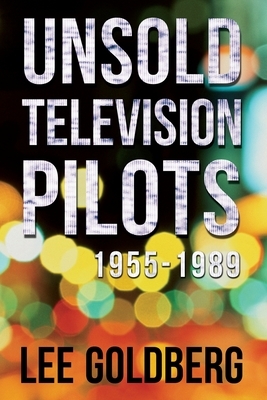 This is a landmark work of television history and research ... a must-read for anyone who loves TV... and who wants to know how shows get on-the-air...and how they don't. "The best bathroom reading ever " San Francisco Chronicle "One of the best books ever written about television," TVParty.com "A fascinating book," Johnny Carson "Packed with amusing failures," Chicago Sun-Times "Irresistible, enthralling, a page-turner. Goldberg puts just enough historical background in the book to make the bizarre psychology of the networks make sense," Hartford Courant. Lee Goldberg is a two-time Edgar & two-time Shamus Award nominee and the New York Times bestselling author of over thirty novels, including the fifteen Monk mysteries, "The Walk," "King City," "Watch Me Die," and the internationally bestselling Fox & O'Hare books co-written with Janet Evanovich. He's also written and/or produced scores of TV shows, including "Diagnosis Murder," "SeaQuest," "Monk," and "The Glades." As an international television consultant, he has advised networks and studios in Canada, France, Germany, Spain, China, Sweden, and the Netherlands on the creation, writing and production of episodic television series.